We have been adding a hand picked selection of furniture due to popular demand. This range is ever growing, and has been picked to offer a range of styles, a choice of materials and most of all, fantastic value for money. This collection of book cases can add a practical and stylish addition to any setting. At MyNextMattress, we're, of course, known primarily for our large range of top of the line beds and mattresses, but we've diversified slightly in recent years with the aim of making us the one stop shop for all your interior furniture needs. 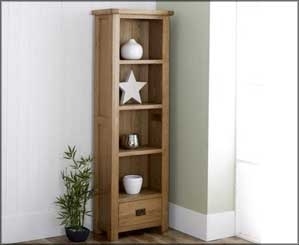 We strive to ensure that we have numerous options available for your home and our range of bookcases include various brands, styles and materials and all at affordable prices. From tall and slim, to low and wide, we're confident that whatever you're looking for we have it here at MyNextMattress.